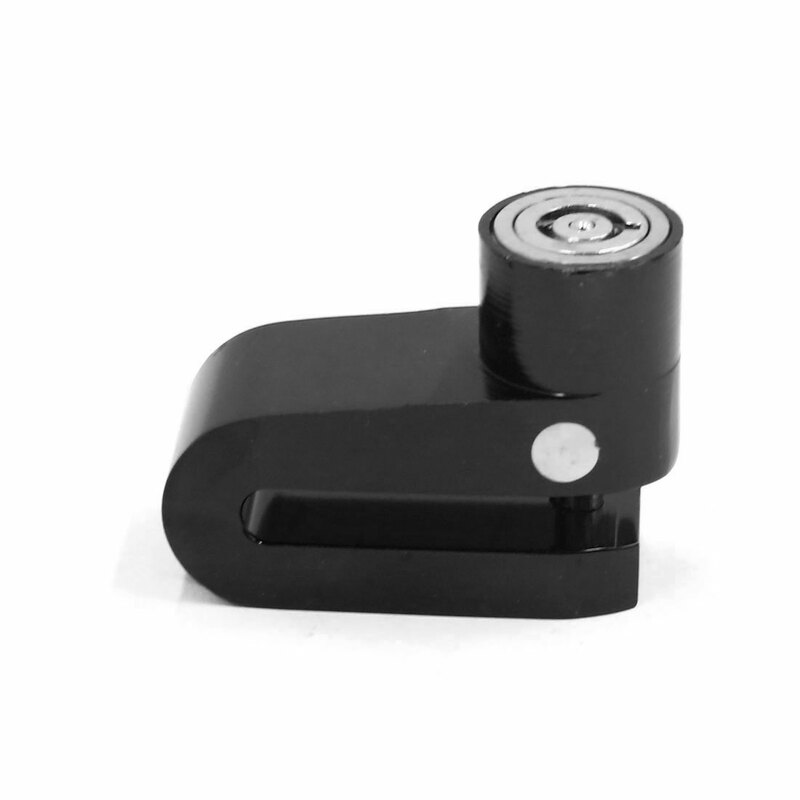 This anti-theft disc brake lock is specially designed for motorcycle. Install it to the brake blade to keep your motorcycle safety. It is extra difficult to be removed without keys as it attaches to the disk. Solid invincible-looking design will be helpful to anti theft. Mechanical lock core is rigorous design so that technical opening is very difficult. Designed with a reliable drill-protected locking mechanism, easy to open by the key. To help keep your motorcycle from getting stolen. Against versatile key: The internal construction of the lock has innovated and modified from the usual ball to the special multiple layers one. So the versatile key can not turn on the lock in any way. Against saw: Hardened steel Shackle can not be cut by saw. Avoid to be prized: The device contains hard steel ball to pin the shackle and it is so strong that it can not be prized by force. Against drill: Hard lock shaft cover can be against drill. Fit Disc Brakes Thickness: 7mm/ 0.3"